Our team comprises three clinical psychologists, eight registered psychologists and three support staff. Meet our psychologists and read about their specialties below. If you would like assistance selecting a psychologist, please call our admin team on 4965 3530. WE ARE CURRENTLY UNABLE TO ACCEPT NEW CLIENTS IN MEREWETHER, MAITLAND AND FOSTER (EXCLUDING EAP AND PMHCS CLIENTS). OUR BOOKS ARE OPEN IN TAREE AND GLOUCESTER. 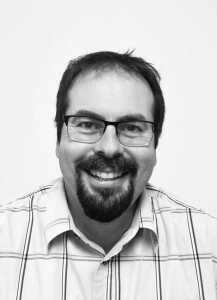 Matthew is a registered clinical psychologist with over 18 years of experience. 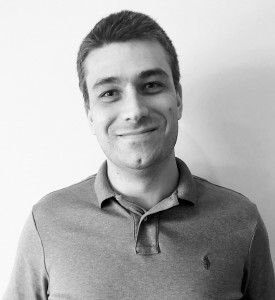 Matthew has gained his experience in private and public settings, including community specialist teams and within adult and adolescent intensive psychiatry hospital units. Matthew is skilled in psychological assessment and treatment of mental illnesses such as anxiety, depression, trauma, psychosis, adjustment disorder and pain syndromes. Matthew is active in developing himself professionally and in mentoring his team to help them discover their own professional capabilities. He has been a group facilitator for The Black Dog Institute training psychologists and building awareness of mental illness in the workplace. He particularly likes educating corporate groups around various aspects of emotional wellbeing, resilience building and mental health management. 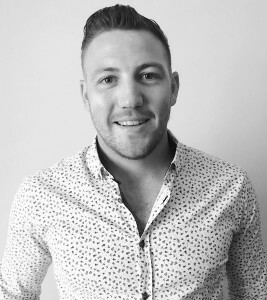 Matthew loves to ‘innovate and build’ services to meet the individual needs of client organisations and has demonstrated this by successfully designing and account managing Employee Assistance Programs (EAP) nationally. Matthew has a passion for organisational culture assessments, coaching employee teams from languishing and creating flourishing organisations. Matthew enjoys building innovative psychological services with Human Resource and other health partners. SPECIALTIES: Adults, children, adolescents, anxiety, adjustment disorder, anger management, depression, CBT, chronic illness, bipolar, domestic violence, grief and loss, group therapy, meditation, pain syndromes, panic disorder, parenting, phobias, sleep disorders, stress, trauma, work cover registered, workplace counselling. Elizabeth (Libby) is a registered psychologist with over ten years of experience. She commenced her work in 2008 in counselling psychology and finished her Masters of Clinical Psychology in 2015 (research focus, internet and gaming addiction). Libby has extensive knowledge and experience working with adults who have work related psychological issues. Her work has included issues such as post-traumatic stress suffered from emergency service work, general stress and work anxiety issues, bullying and harassment and workplace mediation. Libby is also skilled in family therapy working with young children and adolescents. Her work with children includes group and one on one work and common clinical issues such as social anxiety, attachment disorders and behavioural issues. Libby is skilled in cognitive assessments and has experience in the assessment and diagnosis of common clinical disorders such as depression, anxiety and personality disorders. Libby has Gottman Couples Therapy training and experience. She has research published in the International Journal of Psychophysiology and is currently completing her endorsement towards clinical registrarship. 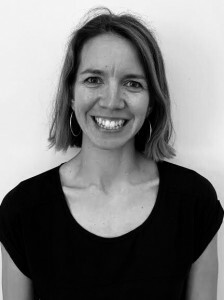 Libby enjoys working with all ages and a range of clinical disorders and has a preference for working with CBT, ACT, narrative therapy and motivational interviewing. SPECIALTIES: Adults, children, adolescents, couples, anxiety, ACT, adjustment disorder, anger management, borderline personality disorder, CBT, chronic illness, bipolar, depression, domestic violence, eating disorders, grief and loss, group therapy, meditation, OCD, pain syndromes, panic disorder, parenting, phobias, sleep disorders, stress, substance abuse, trauma, work cover registered, workplace counselling. Rachel is a Registered Psychologist with over four years of experience working with children, adolescents and adults in both private practice and non-government sectors. 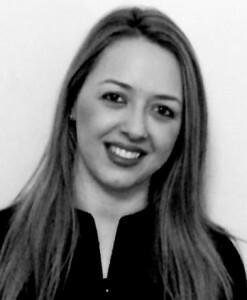 Rachel uses a client-centred approach and aims to work collaboratively with clients to achieve their goals. Her modalities include Acceptance and Commitment Therapy (ACT), Brief Solution Focused Therapy (BSFT), Motivational Interviewing (MI), Positive Behaviour Support and Cognitive Behaviour Therapy (CBT). Rachel has a special interest in helping children and young people with intellectual disabilities, autism, anxiety and behavioural presentations. She has a passion for making therapy interesting and interactive for children, making sessions creative and playful. Therapy also involves working with the significant people in the child’s life such as parents, siblings or carers. Rachel is a registered Medicare Provider and an Associate Member of the Australian Psychological Society. SPECIALTIES: Autism Spectrum Disorder, Intellectual Disability, Adults, Adolescents, Children, ACT, adjustment disorder, anxiety, depression, Solution focus, Positive Behaviour Support, grief and loss, stress, workplace counselling. Sarah is a Registered Psychologist who has experience working with children, adolescents and adults in private practice. Sarah can provide targeted intervention for a variety of mental health issues including anxiety, depression, stress management, grief and loss, emotion regulation and social skills building. Her main therapy modalities include Cognitive Behaviour Therapy (CBT), Acceptance and Commitment Therapy (ACT), Brief Solution Focused Therapy (BSFT), Art Therapy and Mindfulness. She has experience in helping clients navigate Social Media and their Cybersafety to support mental wellbeing. Sarah also has a keen interest and practical experience in comprehensive psychological assessment and vocational assessment which includes career counselling to support clients entering the workforce or who are experiencing career transition. Sarah is passionate about helping clients achieve their goals using a strengths based approach that is supported by a strong therapeutic alliance. 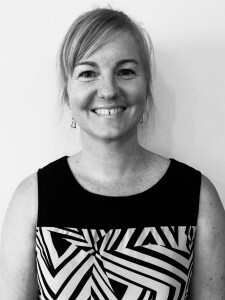 Sarah is a registered Medicare Provider and an Associate Member of the Australian Psychological Society. SPECIALTIES: Adults, children, ACT, adolescents, adjustment disorder, anxiety, Autism, depression, CBT, grief and loss, stress, substance abuse, trauma, work cover registered, workplace counselling. Mitchell is a provisional registered psychologist with over eight years of combined practice and study in the field of psychology throughout public, private and government sectors. 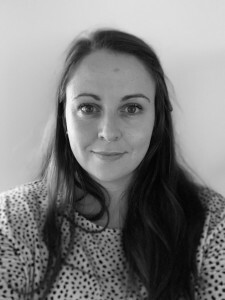 Mitchell is skilled in administering Cognitive Behavioural Therapy (CBT), Mindfulness and Solution Focused interventions; and typically works with an array of disorders including generalised anxiety disorders, social anxiety, social phobias, panic disorders, post-traumatic stress disorders, depressive disorders, sleep disorders and adjustment disorders. Mitchell’s specific areas of interest including working with current and ex-servicemen and women of the Australian Defence Force, elite athletes and individuals within the workplace compensation scheme in response to his previous practice in Occupational Psychology. Mitchell has additional experience in working with clients with emotional disregulation, stress and mood management issues, grievance, and trauma within the Employee Assistance Program (EAP). Despite working primarily with adults, Mitchell has additionally been trained, and administers a cognitive behavioural approach to assisting children with developmental disorders including Autism, ADHD and ADD through developing social skills programs. Mitchell is dedicated in assisting his clients to resolve or better manage their mental health conditions through a collaborative approach, and developing a strong therapeutic relationship. Mitchell completed his two Graduate Diploma’s at The University of Newcastle, and the Australian College of Applied Psychology, and his Bachelor’s degree in the United States. Mitchell is an associate member of the Australian Psychological Society (APS). SPECIALTIES: Adults, adjustment disorder, anger management, anxiety, depression, stress, substance abuse, trauma, work cover registered, workplace counselling. Baz is a provisionally registered psychologist with five years of practice in the fields of psychology and mental health, in NGOs and public health. Baz is skilled in administering Cognitive Behavioural Therapy (CBT), Acceptance and Commitment Therapy (ACT), Dialectical Behaviour Therapy, Mindfulness and other trauma-focused care; and typically works with anxiety disorders including social anxiety, OCD, phobias, panic disorders, and post-traumatic stress disorder; depressive disorders including seasonal and adjustment disorders; sleep disorders; and personality disorders. 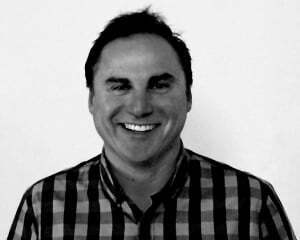 Baz’s specific interests include recovery from trauma and sleep disorders. His goal is to continuously develop and broaden his knowledge and skills, and to develop the value of client feedback. Baz has experience supporting clients with emotional dysregulation, stress and mood management issues, obsessive compulsive disorder, chronic pain, bipolar disorder, psychotic disorders, attachment disorders and relationship conflict. Baz works with adults and adolescents, utilising elements of CBT, behavioural modification, interpersonal therapy and other focused psychological strategies. He sees working together and building the therapeutic relationship as key to rebuilding self-worth, which typically suffers in environments that challenge our mental health. Since completing his Graduate and Postgraduate Diplomas at The University of New England, Baz has worked in youth homeless support, Headspace, Out of Home Care, and Acute Mental Health. SPECIALTIES: Adults and young people, depression and adjustment disorder, anxiety, anger management, stress, substance abuse, and trauma-focused care. Sharleen is a provisionally registered psychologist with experience providing services to adults with a variety of mental health issues. 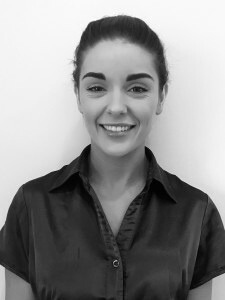 Sharleen is skilled in administering Cognitive Behavioural Therapy (CBT) and Mindfulness techniques. She is currently undertaking her Masters of Clinical Psychology. Sharleen typically works with anxiety disorders including generalised anxiety, social anxiety, and panic disorders; depressive disorders including seasonal and adjustment disorders; sleep disorders; parenting stress; relationship conflict; grief and loss, emotional dysregulation; and chronic pain. 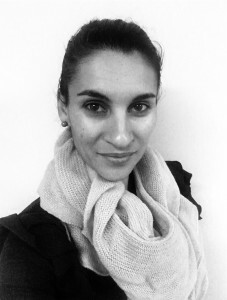 Sharleen’s specific interests include working with diverse populations such as multicultural and LGBTQI+ populations. Sharleen’s priorities in session are to make the client feel safe, secure and heard. She sees working together and fostering the therapeutic alliance as integral to helping a person rebuild their mental health and strengthen their sense of self. SPECIALTIES: Adults, depression and anxiety, stress, emotion dysregulation, grief and loss, diverse populations. Meredith is a psychologist with experience in providing targeted services to adults, adolescents and children in a variety of settings. Meredith has worked with individuals of all ages in government and private workplaces including occupational rehabilitation, youth homelessness and therapy for children with Autism Spectrum Disorder. Meredith uses a number of evidence based therapy models including Cognitive Behaviour Therapy (CBT), Acceptance and Commitment Therapy (ACT) and Ego State Therapy. 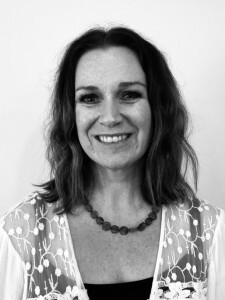 Meredith specialises in the assessment and treatment of mild to moderate anxiety and depression. Meredith can help individuals adjust to a crisis or stressful event, improve communication skills, increase self-esteem, cope with challenges and improve problem solving. Meredith has a passion for Positive Psychology and helping individuals to flourish by aligning with their goals and values. Duska Tadic Registered Psychologist | **CURRENTLY UNAVAILABLE** Returning May 2020. Dusanka (Duska) is a registered psychologist who has several years experience providing psychological intervention to children and families, adults and older adults. She specialises in the assessment and treatment of generalized anxiety, panic disorder and phobias, depression/mood disorders, adjustment disorders and borderline personality disorder. She has an interest in helping people to manage stress, enhance self-esteem and learn to regulate their emotions. Dusanka has trained and worked in a variety of settings including public health, private hospitals, schools and universities. She uses a number of treatment approaches including Cognitive Behaviour Therapy, Acceptance and Commitment Therapy, Mindfulness, Schema and Dialectical Behaviour Therapy. In addition to providing individual therapy, Dusanka also has extensive experience running psychological therapy and education groups. 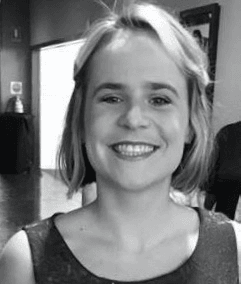 She completed her PhD in 2014 at Macquarie University, investigating how the ability to regulate emotions, process information and select coping strategies influences mental health in younger and older adults. Dusanka is dedicated to using a client-centred approach, striving to maintain a strong and collaborative therapeutic relationship and empower her clients to become experts in managing and overcoming their difficulties. She is a member of the Australian Psychological Society (APS), the Australian Association of Cognitive Behaviour Therapy (AACBT), and the Anxiety Practitioners Network (APN). Tahlee has worked with Life Matters for over 3 years. Tahlee is the leading lady in efficiency, client relations and administrative process. She’s the office go-to, the kind voice at the end of the phone and the welcoming face you meet when you visit Life Matters. Alison has worked with Life Matters for over 5 years. She is the mastermind behind all our whiz bang systems and processes and the wonder woman that drives our office organisation and keep spirits on a high. Eliza began working with Life Matters in 2018. She is the woman working behind the scenes helping to develop our communications, digital presence and partnerships. She has a keen interest in program design and is assisting with the expansion of our online programs and our upstairs wellbeing space, The Meditation Space. 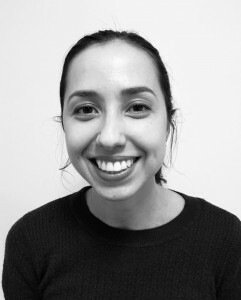 When she’s not cracking out our newsletters, she’s studying art therapy, surfing or hanging out with her two toddlers.